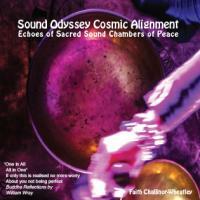 Welcome to the website of Faith Challinor-Wheatley, established Sound Healer and Therapist. Within these pages you will find information on a variety of sound healing therapies and techniques, as well as on Faith’s own work, which incorporates the use of a number of sound instruments, and her voice in diverse forms, as a healing tool. Some techniques have been practised for thousands of years and handed down by medicine people of many cultures across the globe. Other therapies as with The College of Sound Healing have been developed in more recent years through rigorous research and evaluations, have been proven and are practised, and are now acknowledge and accredited by colleges and associations and recognised in the UK and worldwide. With my own developed therapeutic sound healing technique being registered in 2005 are a blending of the ancient with the new, embracing 21st. century technology and rekindling established techniques. These are being recognised as the therapies of the future and as a new frontier of sound healing and cutting edge therapies. Please explore and enjoy this website. If you have any questions, please contact Faith. I take this opportunity to wish you a Happy New Year as we enter into 2019. New beginnings with the powerful energies of the Super Blood Wolf Full Moon Eclipse in this first month of January. Heralding the entrance of powerful and vibrant energies with many possibilities and opportunities for all to focus on for this infolding year. On reflection, I look back through an amazing 2018 and events that have continued to nfluenced my work and choices with sound for healing throughout last year and into 2019.
a cutting edge sound healing technique developed and registered in 2005. Read the many varied testimonials given to this three dimensional healing technique. is at ease is contemplative." "The human voice is a remarkable instrument of healing, our most accessible sonic tool." "There is in souls a sympathy with sounds, And as the mind is pitch'd the ear is pleased, With melting airs, or material, brisk or grave, Some chord in unison with what we hear, Is touch'd within us, and the heart replies." Copyright © 2019 Sound Healing Therapies.